MainAll NewsEuropeRebbe Nachman coming to Israel? Rebbe Nachman coming to Israel? Israeli government reportedly discussing with Ukraine possibility of bringing Hassidic leader's remains to Israel. Will one of the world’s most popular Jewish pilgrimage sites be relocated to Israel? Rebbe Nachman of Breslov, founder of the Breslov Hassidic movement, was buried in the Ukrainian town of Uman 207 years ago. Followers of Rebbe Nachman made regular pilgrimages to his tomb, though the annual tradition was largely abandoned during the Cold War. The collapse of the Soviet Union in 1991and the end of the Cold War, however, led to a resurgence in the traditional Rosh Hashana visits to Uman, which by the early 2000s began to draw wider appeal even beyond the Breslov movement. The Uman pilgrimage drew a record 40,000 participants this September, up from some 30,000 in 2016. 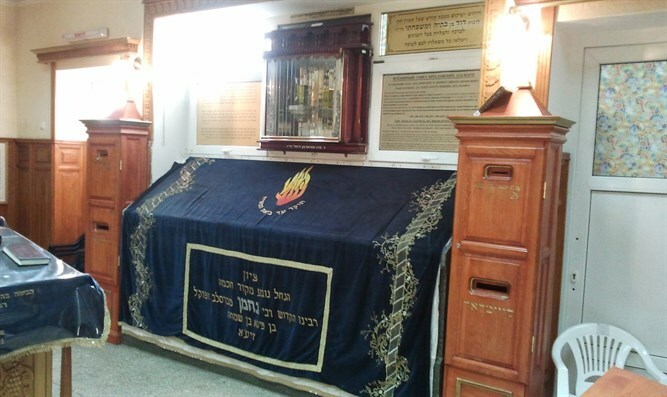 Since the 1990s, some members of the Breslov movement have advocated relocating Rebbe Nachman’s remains to Israel, home to the world’s largest Breslov community, reinterring them in Jerusalem. Yet no concrete efforts to do so were made for the first quarter century since the fall of the Soviet Union. Recently, however, Israeli Foreign Ministry officials have opened discussions with their Ukrainian counterparts to examine the possibility of reinterring Rebbe Nachman’s remains in the Holy Land. According to a report by Army Radio Monday morning, Deputy Foreign Minister Tzipi Hotovely instructed Israeli diplomats to discuss the issue with Ukrainian leaders. While Ukrainian officials did not reject the proposal out of hand, journalist Shiloh Fried said that Kiev was hesitant to make a decision. Jewish pilgrims visiting Uman have become a major source of foreign currency in the region, and Israeli officials are skeptical the Ukrainian government will accede to Israel’s request without an attractive compensation package. Rabbi Aryeh Lippo, a member of the Breslov movement involved in talks to bring the rabbi’s remains to Israel, said that given the distribution of Breslov Hassidim, the move made sense.